What are the biggest risks to an organisations information security....? With a range of offerings like cloud computing, data security, network monitoring, systems management and more, an MSP can offer businesses IT solutions for a range of issues you might encounter on a daily basis. MSPs often make the mistake of assuming that their clients understand all things technical. But not all clients are aware of the intricacies associated with IT, so they might not be able to clearly state their needs or communicate their problems. If an MSP can put across a business case or solution and leave out the technical jargon this improves the whole experience for both parties. Just like assuming complete understanding, some managed IT services providers assume that their client is aware of what the outcome of a particular action or service might be because they understand technicalities. On the contrary, most clients have no idea of either the benefits or risks associated with the MSP’s tools or processes. Your MSP should stay on the safe side by communicating pros, cons, risk factors, and associated costs beforehand. Therefore, any impact these might have (positive or negative) can be planned for or at the very least expected. In a bid to secure new clients, MSPs can make the mistake of over-promising or selling expertise they lack. MSP’s should focus on selling solutions and technologies that they are capable of providing. If a client asks whether or not they provide a particular service or work with a certain technology, your MSP just needs to be honest! A successful MSP should be able to provide you with customisable plans and services to fill gaps in your in-house team. So, flexibility and varied types of managed services and a range of plans need to be offered to suit your needs. While it’s important to be able to cater to the varying needs of clients, it’s also necessary to have standardised solutions in place for smooth service delivery. 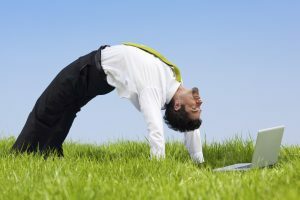 Your MSP should be flexible wherever possible, but not at the cost of efficiency. By establishing ground rules and a list proven techniques enables your MSP to bring about results that are repeatable and consistent. Being a managed services provider is all about ensuring that everything is running as smoothly as they promised. MSP’s shouldn’t focus solely on the number of issues they’ve resolved but how prompt they are at providing the right solution is what matters most! They need to be proactive to ensure problems are avoided before they turn ugly. This in turns enables MSP’s breathing space to handle tasks efficiently and will also lower your losses caused by downtime. Some managed services providers fail to understand that they aren’t selling just products—they’re also selling a service. Focusing on technology and product performance is fine, as long as they’re only promoting products. An MSP can’t bank on the efficiency of products and let technology do its own thing. They need to actively sell the expertise, knowledge, and reliability of their staff so you know your business is in the right hands. If your MSP asks for regular feedback please give it to them so they can implement changes as needed. Successful managed services providers go above and beyond to cater to their clients’ needs and provide high levels of support and service. This not only ensures greater client satisfaction, but also helps the MSP to hold its own in a fast-growing industry. If you want to find our more about what Softlink Solutions can provide please visit here or call us on 0845 094 0010. What are the biggest risks to an organisations information security…. ?Will you be fleeced this Christmas holiday by phishing emails? Wishing our Customers and Suppliers a very happy and prosperous New Year. Looking forward to working with you all in 2019. What takes place every day, can happen to any-one and throughout the world? Could your cyber-insurance policy be flawed?